This helicopter flight above Atlanta may be brief, but it packs plenty of sightseeing in. You’ll soar above the city to see the iconic King and Queen, two 34-storey corporate towers that resemble chess pieces because of the white crowns at the top of each. You’ll hover above them for a short time to truly appreciate these architectural gems, before moving on to a flyby above Buckhead, one of Atlanta’s most upscale and prestigious neighbourhoods, where you’ll see many beautiful homes including the Governor’s Mansion. 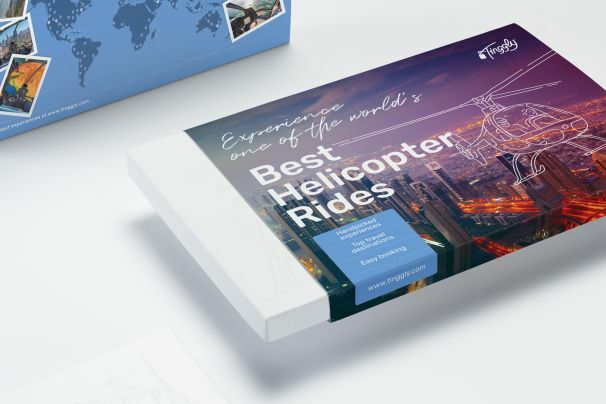 Now of course if you’re not familiar with the city and its layout, you may not know exactly what you’re seeing, so on this Atlanta gift experience you’re provided with a headset through which the pilot will relay an interesting commentary throughout. Learn about the construction of the King and Queen, and the history of Atlanta, as well as seeing many other unique and breathtaking architectural landmarks.